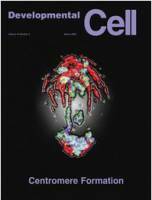 Developmental Cell is a broad-spectrum journal that covers the fields of cell biology and developmental biology. It publishes research reports describing novel results of unusual significance in all areas of these two fields, and at the interface between them. Each issue also contains review articles tailored to the journal's broad readership. With this wide coverage, Developmental Cell is a unique cross-disciplinary resource for researchers in both these fields, and for the general scientific community. Developmental Cell will consider papers in any area of cell biology and developmental biology. Examples of these include cell proliferation, intracellular targeting, cell polarity, membrane traffic, cell migration, stem cell biology, morphogenesis, developmental roles of genes or pathways and differentiation. The primary criterion for publication in Developmental Cell, as for all Cell Press journals, is new biological insight. We recognize that there are many ways in which such insight can be obtained, and Developmental Cell is interested in studies using the full range of methodologies available to the cell and developmental biology communities. We are happy to consider any study that leads to important new conclusions about biological function. Developmental Cell is a complementary partner for its companion journal Molecular Cell, and has similar standards for publication.